I am by no means an expert on this. I have run a successful campaign for one book but did try and learn quite intensively before beginning the campaign so it worked. This is not the be all and end all by any means and I will have missed a load of stuff out in the info below but it might help. You need to identify who will buy your product. This sounds obvious but if it is going to be male millennials then don’t waste your time launching into email assaults to middle-aged females. Equally, if you’re going for a female market then don’t waste your time going after the small % of males that might want to read your book. You need to be dialled into your market. Initially, a crowdfunding campaign will be all about your friends and family. Whether it goes beyond that is, to some extent, down to how well people engage with the project, how much they share it and how much effort you put in. Ok, I’ll re-phrase that to ‘you can do it alone but it is not recommended at all.’ I could have done my video, my reward structures, the social media barrage and the content solo. But it would not have been as successful. I can write, I can edit videos and I have a product that I think is worth putting myself out there for. However, I also have friends that can’t write or make videos. However, they do have some amazing attributes that I lack and together the campaign was stronger. Others will tell you what does and doesn’t work. This isn’t about you getting the beautifully phrased prose into the video or text, it is about selling the book. People will make that decision that almost immediately so you have to get someone to tell you whether it’s crap or not. I enjoy the collaborative process. I like people disagreeing with what I’ve done but then crucially coming up with a great alternative. Rarely do people want to be the first investor in something – unless there is an obvious business gain for doing so. As such, you need to have a guaranteed base of people that will buy your product when it first comes out. I had a list of around 80 people that I felt would do that and emailed them beforehand. As it happens, not all of them supported the project, but the majority have. Those 80 will then get the project to a decent figure early on. This immediately adds legitimacy and momentum. You need to get people onside and feel part of the project. People are more excited about my book because they were part of the crowdfunding process. They are aligned with the project, how it progresses and then, once they’ve supported it, often want to tell people because they’ve made the commitment. I feel happy that they are as well because this now is not a solo project, it feels like a group effort. It is totally natural to get a spike at the start and a spike at the end. The virally successful campaigns (not mine) are the ones that maintain significant upward momentum the whole time. 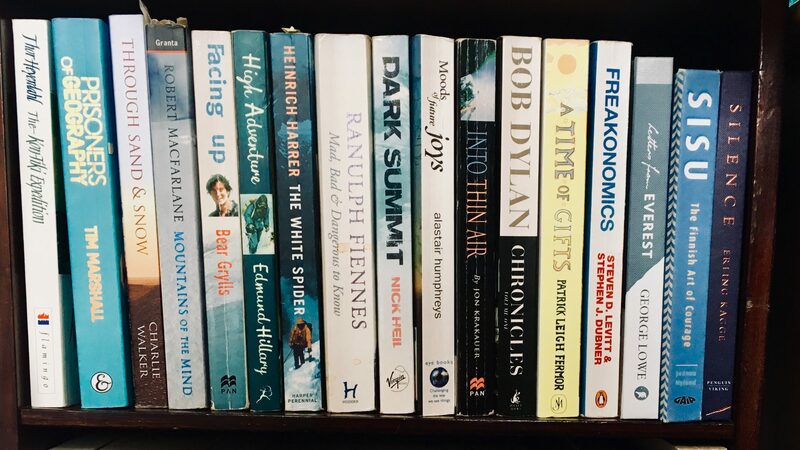 That is very rare and I knew a niche book on climbing and growing up was not going to do that. This is important. As I said above, it will spike at the beginning and end. If I had a campaign running for a year then it would be almost sedentary for 11.5 months of that. People don’t remain interested for that length of time. That’s why Kickstarter recommends 30 days. Yes, it has meant that I have been actively lobbying it for that month but that way it means people I know at least had the chance to see the campaign and then they could decide. A lot of people will keep delaying; you have to then say right…2 days to go. It’s now or never etc. Added to that, my Kickstarter books were a limited edition version i.e. signed with colour photos which will not be possible again after the campaign. It was a unique version of the book so people were more incentivised to support it. Most people won’t read the written content in that much detail. If they’re on the page, then they’re almost there. I’ve been on other people’s and Kickstarter isn’t designed to get people to read everything forensically. Some might so it has to be good but the majority won’t. The majority will skim it, look for the odd phrase and want to see nice pics and maybe a prologue if it’s a book. Focus on the bits that will grab people’s attention. I was not expecting my average donation to be as high as it was. It is only that way because of the collaborative process (Point 2). I then understood that I was appealing to different people for different reasons. Some people just wanted the book. They may have supported me before; they may not want/need their name in the acknowledgements or don’t have the money. The other tiers were structured to appeal to different relationships who would want different things. You can’t offer your name in the acknowledgements for a £12 purchase, it simply devalues the reward. Same applies for a book launch invite. As such, you need to incentivise people suitably so that they pledge at a higher level. That is not tricking people at all. I believe the rewards people got on my campaign were fair for what they’re getting which is why they appealed. Again, different rewards appeal to different people but will also make more people feel part of the project. Kickstarter say this is the most important one. I kind of agree, kind of don’t. Getting people to your page is the hard bit. Once they’ve done that, they are clearly willing to make the pledge out of intrigue but the video is another hook. Most people won’t have set aside a specific time in their day to watch your video. They’re watching it at work fearful of their boss looking over their shoulder or when their phone is on mute. They’re on their commute and thinking about their own lives. It has to grab people immediately or they’ll just switch off and then your time making the video is wasted. Think about the key themes of your book and use that. If it’s you then make it about you. If it’s about climbing mountains, then get some nice climbing videos and suitable music. Don’t make the video too long. Think about when you watch videos on YouTube or Facebook and how long you’re interested. Put yourself in someone else’s shoes and you’ll realise that anything more than around 3 minutes and you may have lost your potential backer. Much to the despair of some people close to me, if you want people to feel part of the campaign then you have to update them during it. I did this with blog posts about the writing process, updates on how the project was progressing and endorsements. Not loads, maybe 6-8 overall, but enough that it is on people’s minds and they feel engaged. This again wasn’t a cynical pre-planned move; those posts came about because people continued to ask the same sort of questions so I thought I’d answer them. My friends wanted to know what sisu meant, why I decided to write it and what the process was. I hope this also made them more interested to read it when it releases. This is a time to sell sell sell. It’s not nice and it’s…insert word here from any of awkward, embarrassing, frustrating, time-consuming, uncomfortable. If you don’t sell the project and don’t believe in it then why should anyone else? There’s a Simon Sinek talk with the principle of, “People don’t buy what you’re doing, they buy why you’re doing it.” Agree or disagree, there is certainly some truth in it. If you’re releasing a product with the obvious goal of merely making money and nothing else, then people will be less inclined to support it. However, if you’re releasing a product because it has a social benefit, it solves a problem we are all irked by, it fills a gap in the market etc then people get on board with that. With mine, people were engaged by the story. They wanted to know more about it because I actually don’t discuss it in that much detail or they wanted to support a friend. I believe there is a social benefit to the book that was worth writing it for. I, therefore, believe it is worth reading so much more than if it was simply about climbing mountains. This is a frustrating aspect to Kickstarter but actually, they make it as easy as they can. In my case, I could not pre-order any books because I a) had no idea how many people would buy it near the end and b) would not be able to have people’s name in the book unless I had their full information. You can see the issue here as I don’t get the names until the end of the campaign. As such, you need to send a Backer Survey to get hold of all the information you require to the sort all the admin including postage, acknowledgements, launch parties etc. The campaign is one thing, I am still working out how to do the rest. People’s bank cards will fail, they won’t fill out the survey correctly, they will have clicked the wrong reward etc. Added to that, I had the books to print and a launch party to organise. Key tip: Give yourself enough admin time after the campaign ends. 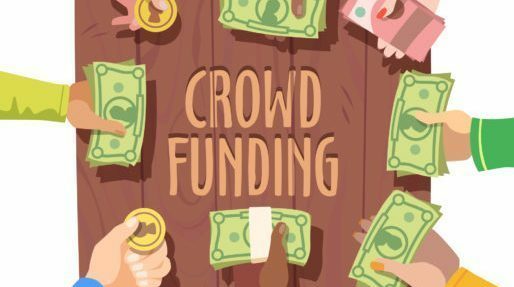 I would absolutely recommend crowdfunding as a means to launch your project. Like self-publishing a book, it is scarier and more work but it is worth it. It is hard asking people to spend money but you have to believe in what you’re trying to sell them. Kickstarter is a great means to generate wider interest, get people excited about the project and establish an early base of supporters. Back yourself, create your own campaign and please get in touch if you want any more info. As I said, I’ve only done this once but that’s what I learned so I hope it helps. 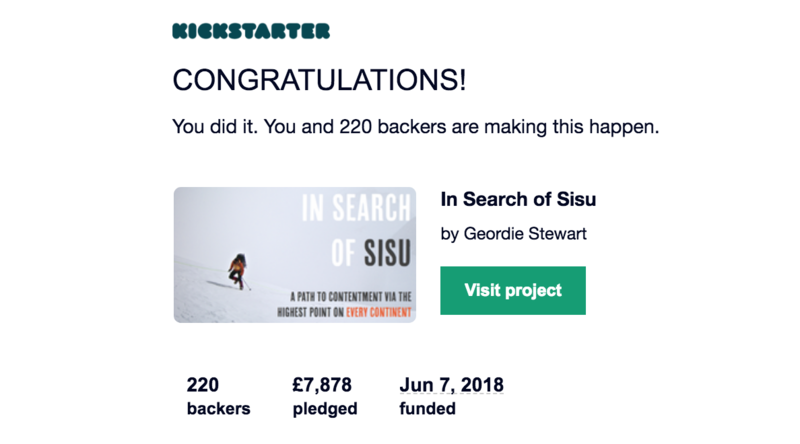 previous post: In Search of Sisu Kickstarter Success! next post: Should I self-publish my book?